The Pocket Cloud Router is a portable, multi-functional device, which enables you to boost and transform your wireless Internet connection, by acting as a wireless router and Wi-Fi hotspot. A built-in battery, with up to 4 hours life, makes this router ideal for remote workers or people on the go, as you don’t need to rely on your power outlet to get connected. With its ability to charge mobile phones, it can even serve as a back-up charger. The Pocket Cloud Router is a portable, multi-functional device, which enables you to boost and transform your wireless Internet connection, by acting as a wireless router and Wi-Fi hotspot. Using built-in cloud technology, this router provides easy access to your stored personal files and multimedia, wherever a flash storage device is connected to the router’s in-built USB port with the free SharePort™ Mobile app for iOS and Android™. A built-in battery, with up to 4 hours life, makes this router ideal for remote workers or people on the go, as you don’t need to rely on your power outlet to get connected. With its ability to charge mobile phones, it can even serve as a back-up charger. Now with 4G LTE/3G mobile Internet USB modem dongle support. 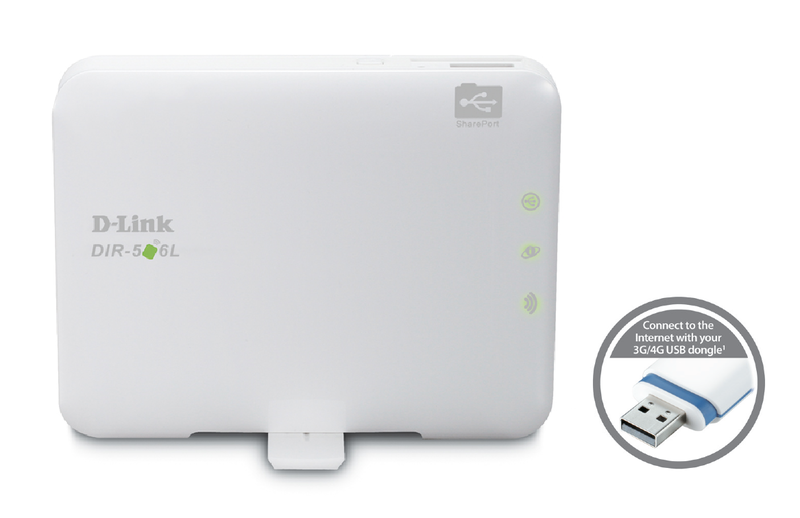 Share your high speed mobile Internet from anywhere by connecting your 4G LTE/3G USB dongle to the Pocket Cloud Router1. The Pocket Cloud Router features multiple wireless modes, allowing it to adapt to any situation. In router/AP mode it lets you share your broadband Internet connection wirelessly by simply connecting it to your cable or DSL modem to provide high-speed Internet access. This feature is useful for those that need a quick and easy way to create a wireless network at home or away. Most hotels and business centers have a fast wired network infrastructure, but may have slow or unreliable wireless Internet that is unsuitable for portable devices like tablet PCs. Router mode allows travelers to overcome these limitations by creating their own wireless connections. Access Point mode allows you to create a private wireless network instantly. It can also be used to create an impromptu private wireless network without Internet access so that networked devices can securely connect to one another without being exposed to the Internet or other computers. Repeater mode extends your existing wireless network even further across your home, so that you can get an Internet connection in every room. In Wi-Fi Hotspot Mode, it connects to a wireless hotspot and subsequently shares that single network connection with nearby devices. This can be useful at a hotel, airport, or cafe to share a hotspot connection with multiple devices. Using a Wi-Fi connection in this manner helps to defeat costly mobile roaming charges for devices like Smartphones and tablets. Additionally, this configuration can provide a second layer of security when connecting to public hotspots by hiding connected devices from foreign devices on the public network, and keeping them in their own private network. SharePort™ Mobile serves up effortless access to stored personal files and multimedia whenever a flash storage drive is connected to the router’s built-in USB port. Music, video, and photos can be streamed or transferred to multiple users with the intuitive SharePort™ and Mobile app for iOS and Android™ devices, or via an easy to use website interface. This router is ideal for getting connected to the Internet and file sharing on the go. Its compact design allows it to fit right in your pocket, and the rechargeable battery, which has up to 4 hours battery life, means you don’t even need a power outlet to start sharing or to create a network. You can also plug it into a powered USB port to recharge the battery. A pivoting stand allows for vertical use and folds away when it’s not in use. Setting up the Pocket Cloud Router is simple. Just plug it in, connect to it wirelessly from a PC or mobile device, and follow the steps in the built-in Setup Wizard to configure. It’s easy to set up and use in an instant, whenever you need it, and wherever you are. 14G LTE/3GUSB dongle not included. 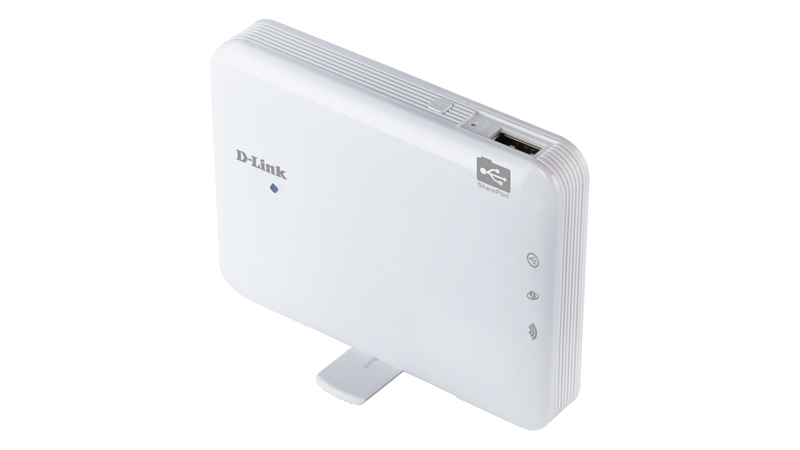 For the latest compatibility list, please refer to www.dlink.com or contact your local D-Link support. Please check regional mobile operators for 4G LTE/3G mobile Internet availability. 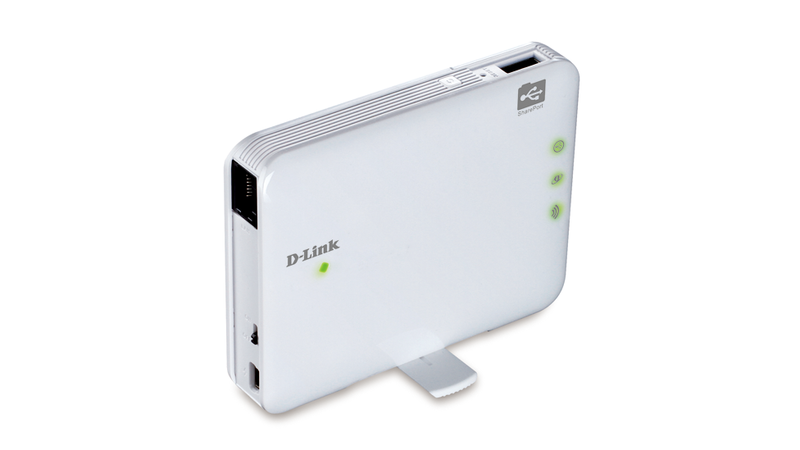 Please check that your Pocket Cloud Router is on the latest rmware availabe from www.dlink.com.